How Far is Subhodaya Laurus? As Experienced Professionals we put all our efforts to ensure good designs and high quality of construction in our projects along with timely completion. Our earlier completed projects stand testimony for this. We Execute Projects with clear titles and approved by BBMP thus securing clients peace of mind for their investments. Apartments are built, keeping comfort and safety in mind. They are designed with priority being given to optimum space utilization and aesthetic value and built with good quality materials. 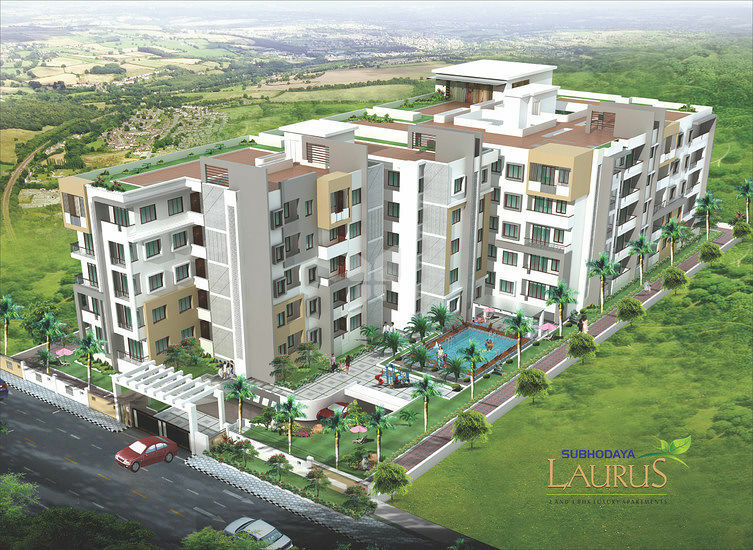 Subhodhaya Laurus is ideally located off Whitefield main road with well connected roadsto major parts of the city and along the ring road Whitefield area is fast developing into an ideal residential hub with excellent infrastructure facilities and is an ideal choice for home seekers. 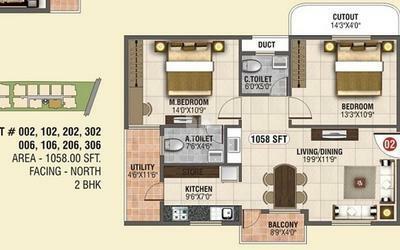 In close proximity of the Subhodaya Laurus are the facilities that you may avail in your daily routine. Internal walls, Cement Mortar Plastering With Smooth Lime rendering. External walls, Cement Mortar Plastering with sponge finish. Internal doors: Sal Wood frames, flush door painted with synthetic enamel paint. Interior Walls: One coat of primer and two coats of emulsion paint with smooth finish. Exterior Walls: One coat of primer and two coats of apex paint, enamel paints for doors, windows and ms grill. Common & Attach toilet: Wash basin, dadoing up to the false ceiling, with a provision for a geyser and an exhaust fan point, Wall mounted EWC(hindware or equivalent) and CP fittings (Jaguar or equivalent). Single bowl stainless steel kitchen sink.20mm thick black granite kitchen platform. Glazed tile dadon up to 2 height above kitchen platform, with provision for aqua guard and exhaust fan/chimney points. Washing machine point in utlity. 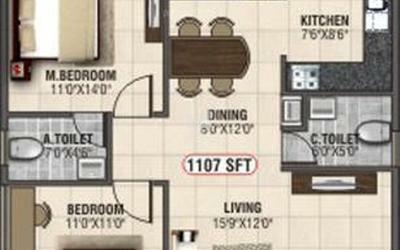 Cable TV point in Living and Master Bedroom, Internet/Telephone points in Living and Master Bedroom, AC point in Master Bedroom. One 8 Passenger and one 6 passenger Elevator. Power supply 3KW and power Backup of 500 watts for each apartment.